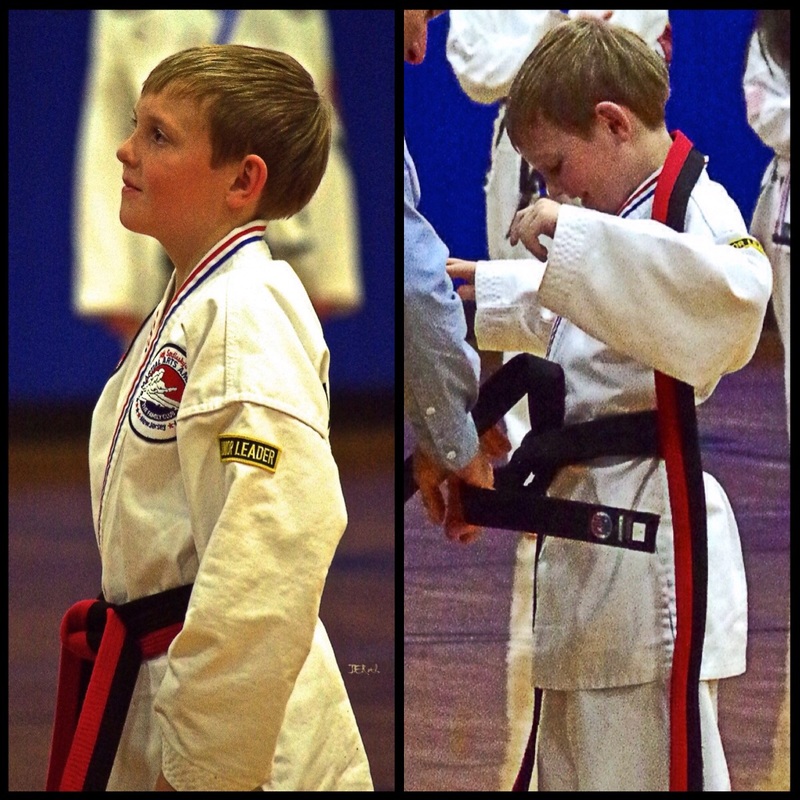 My take on the challenge focuses on my #2 grandson (“D-Man”), who successfully tested for his black belt. The journey for him wasn’t easy, and in fact was interrupted for a time as he chose to pursue guitar lessons. As a musician, I encouraged his testing of those waters, and was a little disappointed when he returned to TKD; in part because I would miss our Monday and Tuesday afternoons, practicing for his guitar lessons. Returning to his training after such a break was challenging for him (and for Mom), requiring many extra hours of training. But he persevered and reached his goal. In the photo-set above, he stands at attention in the penultimate moment before he removes his former belt to accept his Black belt.